The York County History Center provides unique experiences through multiple historic buildings and museums in Pennsylvania, as well as invaluable resources for research. 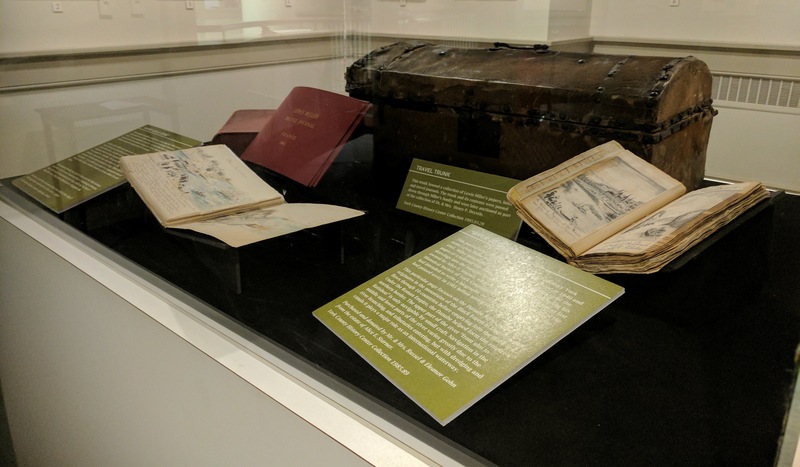 Whether you are visiting one or all of our York, PA museums, we’re sure you’ll discover something new and exciting about the people and history of York County Pennsylvania. Open Tuesday, Wednesday, Friday and Saturday 9:00 A.M. - 5:00 P.M. Thursdays we close at 12:00 noon. The headquarters, Library and Archives and many of the History Center’s diverse exhibits are housed in a building that is itself an historic artifact. Constructed in 1921 as an automobile dealership, the main lobby retains its original showroom tile floor and the spacious two-story entrance hall. William Richley donated the building to the York County Historical Society after it had outgrown its prior home in 1955. Open Tuesday, Wednesday, Friday and Saturday 10:00 - 4:00, Thursday close at 12:00 noon. Learn about York County’s vast contributions to the progress of agriculture and industry. Housed in a former factory complex, the York, PA museum features two floors with over 20 exhibits highlighting 300 years of transportation, agriculture and the development of manufacturing and industry. Many of the exhibits feature hands-on experiences for visitors of all ages. Step into a 1916 trolley car or sit in the seat of a 1940 train switcher engine in the Transportation Gallery. Explore the Local Industry Galleries to try your hand at using rotary phones operated by a 1930s switchboard. Discover what it’s like to milk a dairy cow in the Agricultural Gallery and check out the working 3-story grist mill during your visit. You will also be able to enjoy exhibits on pottery making, casket manufacturing, wallpaper creation, pianos and organs, as well as the York Plan, which was York’s industrial contribution to World War II. Before leaving, do not miss the Hall of Giants Gallery to see a 72-ton A-frame ammonia compressor used for producing ice in the early 1900s. The Colonial Complex is currently CLOSED for the season. The Complex will re-open April 6, 2019. One of our most popular York, PA museums, the Colonial Complex encompasses four historic buildings located downtown. Your 45-60 minute guided tour will explore York County’s role during the American Revolutionary War and everyday life and culture during the 18th century. Built in 1741, the Golden Plough Tavern served as a source of news and information for travelers and locals alike, and showcases daily colonial life. The General Horatio Gates House (c. 1751) reflects an upper class English home of the late 18th century, highlighting the stay of American General Horatio Gates during the winter of 1777-1778. You will also visit the reconstructed Colonial Courthouse that highlights the story of the Second Continental Congress when they worked out of York during the winter of 1777-1778, and adopted the Articles of Confederation. The Barnett Bobb Log House, built in 1812 and relocated to the Colonial Complex, is currently used during programs for artisan demonstrations and hands-on activities. For tour times, please click Public Tour Schedule button to the right. The Colonial Complex will be closed until April 6. Originally built in 1840, this three-story dwelling was purchased by artist and prominent Yorker, Horace Bonham. Visitors to the Bonham House will learn about the Bonham family and the evolution of the structure that reflects the changes in society between the 1870s and 1960s. While Horace trained as a lawyer, he spent most of his life as a painter of portraits, landscapes, and genre scenes. Several of his works are displayed in the house. Located in the historic 1903 Royal Fire House. The museum allows visitors to see how York Firefighters worked, lived, and played. The building holds more than 225 years of firefighting equipment representative of the 72 fire companies of York County. Exhibits and objects on display include six fire trucks ranging from the 1920s to the 1950s, hand-drawn pumpers, uniforms, and historic alarm systems.